As your personal guide and trustworthy agent, I strive to give you the best of the best. In the years that I’ve spent in the industry, homebuyers have always asked me “What do I need to do when I buy a house?”. I’ve composed a step-by-step guide that organizes the buying process to make buying a house simple and fun! Before you even go looking for a home, you have to understand your needs. Think about the type of place you’re looking for. Are you looking for a lot of bedrooms and washrooms for your family? Do you want a pool in the backyard? Do you want to live close to a school or a mall? These are just some of the things you have to consider before start looking for a new home. You also have to familiarize yourself with different types of ownership as well to help narrow down the perfect home. Freehold is when it’s all yours, a condo is when you take care of the inside and pay your fees to an association, and co-op is similar to a condo but you rent a unit in the building and pay maintenance and repair fees. Once you have narrowed down some qualities, its time to go looking for a home! 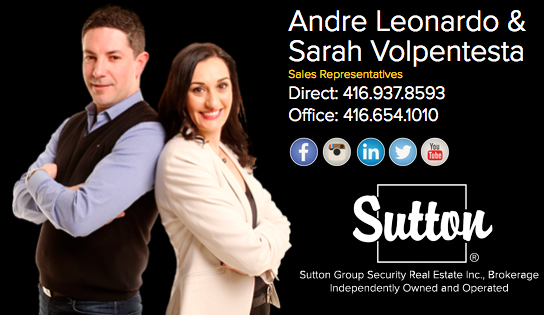 There are thousands of real estate agents how do you chose one that’s right for you? There are many ways of finding that dream home! First, before you go shopping you have to make sure you are also financially ready. Make sure to have a budget when you go shopping. You can use my very handy affordability calculator by clicking here. One thing to keep in mind is your down payments. This is a percentage of the total cost of a home that you’ll need to pay. The more money you put down, the more you’ll save on monthly payments and cost of borrowing. Another important aspect is getting pre-approved for a mortgage. When the lender approves you for a mortgage, it gives you an idea of how much you can afford to buy your new house. Keeping these things in mind, you are free to go window shopping! You can go searching for houses according to the different neighbourhood surrounding you, check newspaper listings, websites, or even drop by any open houses that are being held in your area. Looking for houses can be really fun and exciting! You can browse listings using the smart listings search on my website, here. Now that you’ve found the house that you are set on, it’s time to make an offer. Not all offers are the same and here’s where your real estate agent comes in. They will help you with specific terms and conditions that will be specified in the offer like the price you want to pay, financing conditions, or other things like inclusions and exclusions. Not only is it about the price of the house but you have to carefully look at the other details included in this sale. Appliances, chandeliers, or even minor renovations can also be part of the deal. Shorter or longer closing dates can also be specified in the offer. If there is something in the offer that doesn’t satisfy the seller, counter offers or negotiations can also be presented to help get a price that you think is fair. There will be closing costs associated with the sale that need to be paid either by or on the closing date. It can include mortgage application fees, inspections, and legal fees. But once that’s taken care of, you get your new house. Congrats, welcome to your new home! You’re all ready to move in!